Many job seekers get stuck because they don’t see the strategic paths from where they are that lead to where they want to go. While your resume is always about you, it should always be written for the benefit of another person. We’ll call these other people the audience for your resume. Research by The Ladders suggests that you now have 6 seconds to make a first impression when you share your resume. In those first 6 seconds when a resume reviewer puts their eyes on your resume, you’re making a first impression whether the impression is a good or a bad impression. Your resume's first impression should be clean, clear and logical enough to entice a data-overwhelmed resume reviewer to slow down to read your resume. Your resume's first impression is either an impression that will open an interview door or it is an impression that will keep you stuck in your current situation. How Do I Write a Resume That Opens Interview Doors? While your resume is always about you, it is never for you. The purpose of writing a resume is to help someone else, someone in your resume’s audience, to get to know you quickly. By quickly, I’m mean real fast. Research suggests that resume reviewers give your resume 6 seconds of initial attention. In those 6 seconds, it is your job to demonstrate what you have to offer that aligns with what your audience is seeking. The goal for your resume in the first 6 seconds of your audience’s resume scanning process is to give your audience enough evidence that your resume is worthy of their time to read. You have to earn your audience’s commitment to read before they’ll move past visual scanning mode. Think about it. Our minds have been conditioned to scan 120 characters in a Tweet. When people write comments on Facebook, how often are those comments short and incomplete sentences? It isn’t that nobody can read. The reality is that most people will start out scanning before they commit to reading. Write your resume so that it can be visually scanned in 6-10 seconds and make sure you are delivering what your audience cares about more than what you care about. If you’ve ever struggled with resume writing, it’s okay. Writing a great resume requires a mix of Technical Writing, Business Writing and Creative / Strategic Writing. Knowing exactly what matters to your resume’s audience is where you begin the process of creating your own resume. I recently read an article on LinkedIn entitled THINGS YOU SHOULD REMOVE FROM YOUR RESUME IMMEDIATELY. If you want to read this article, simply click on the article title. I provided the hyperlink to take you to the article. When I cut and pasted the text of this article into a Word document so I could read it later, it came out to 12 pages. While I agree with some of the article’s points, I don’t agree with every point. Instead of arguing over opinions, know that my resume writing opinions come from results, results and only results. Here’s what you need to know about what I teach my clients about resume writing. Your last 3 job descriptions describe what you were hired to do in your last 3 jobs. If a resume writer could simply compile the descriptions of what you were hired to do to create your resume, there would be no skill involved in the process of writing a resume. A great resume is far more than a record of what you signed up to do in past jobs. A great resume shows a record of what you signed up to do, what you actually did and the value that was created as a result of your efforts. It is your Accomplishments, Contributions and Results that need to be demonstrated on your resume in a language that aligns with the language of your resume’s audience. While your resume is always about you, it is for your audience 100% of the time. What you were hired to do in previous jobs should actually be allocated the least amount of real estate on your new resume. Resume writing is difficult because when it is done strategically and correctly, it is a mix of technical writing, business writing and creative writing. Many people do well with the technical writing piece. The business writing piece of a resume is still within the grasp of some. It is the creative piece of writing that is outside of most of my client’s skill sets. Too much of any one of these elements will upset the delicate balance of a great resume. Finding just the right balance of Technical Writing, Business Writing and Creative Writing is required to build a resume that will be most appreciated by the resume’s audience. My Resume Is Good Enough Isn't It? Isn’t My Resume Good Enough? The retired U.S. Government Agent called and told me about an interview process he was fortunate to have made it into. He was amazed when he learned how much competition his resume faced. 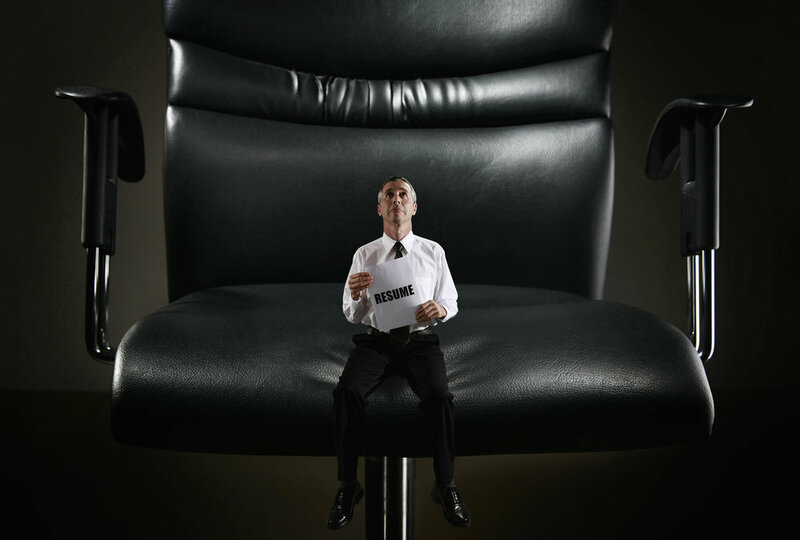 The senior executive at the hiring company who was conducting interviews told the retired government agent that his was the last resume the company chose to pursue. “You’re lucky to be sitting here today” the senior executive hiring decision maker said to the retired government agent. The Fortune 100 Company selected only 10 resumes out of 200 that landed in their human resource Inbox to seriously review. The other 190 resumes continued their journey to the abyss. That place where resumes go to die. Are you in it to win it or are you content to just play the game? Are you content for your resume to be part of the 190 resumes that didn’t see the light of day in this example? If you are, then your resume is probably good enough. Do you want your resume to land in the group of 10 resumes that were singled out and reviewed? If this is your desire then “good enough” won’t cut it. The most qualified candidate always gets the job…don’t they? There’s a pretty strong chance that amongst the 190 resumes that were passed over, that there were at least a hand-full of very strong candidates. Candidates who were even better candidates than the 10 candidates who were chosen because they presented the best resumes. Why didn’t all of the best candidates get interviews? The best candidates in this situation were not necessarily great at writing, packaging and branding. If you want to compete for the best jobs, you’ll have competition. You won’t always have 200 people to compete against but you’ll likely have competition of some kind. When you send your resume, are you in it to win it or are you content to just play the game? I’ll make this quick but I seriously want to make a point. I just ran into a conflict with a CISO who suggested that my prices were too high. While he’s entitled to his opinion, so am I.
I think the CISO’s thought process is small and he isn’t thinking like a business executive. CISOs should walk, talk and act like business executives. I won’t do anything to identify this person but I have to guess that he is making 6 figures. In 2008, I created resume writing services at $599.00. If you do homework, you’ll find that there are many services out there above $599.00 and they’re not worth a fraction of my services. I have results to prove my statement and loads of references to back up my statement. Two years ago, I figured out a way to adjust my resume writing service so it could be delivered at a lower price point of $259.00. This service is priced to serve more people and it has been extremely successful all around the globe. Maybe you don’t need this service right now. Maybe you’ll never need this service. I respect that. If you ever do look for a resume writing coach, do yourself a favor and don’t be penny wise and pound foolish when you make your decision. I’ve helped many people who have hired “professional resume writers” to write their resumes but they didn’t get results. After they’ve worked with me, they’ve gotten results. if you ever hire me, you're making an in yourself. I take that seriously. I deliver results. This kind of coach by the way should be charging far more than $259.00 or eve $599.00. The coach who matches the description above is trying to serve as many people possible to push the security skill set to a point where it is considered a security profession. Can You Explain What I’ll Get from Your 1 Hour Resume Coaching Service? This question recently came to me from someone who was consider hiring a coach to help them with their resume. Yes I can. I have been assisting all kinds of people with resumes since 1990 when I started in the recruiting business. In 2008, after seeing tens of thousands of resumes for 18 years, I decided to turn what I had been doing on a pro-bono basis into part of my business. I started out with a service that I still occasionally deliver. That service is what I call my Full Resume Writing Service found on JeffSnyderCoaching.com. This service is for a client who comes to me and tells me that writing just isn’t their gift. In this case, I teach my client how to do what they need to do and I also stick with this client until their resume is complete. I become their editor. A few years ago, a “C” level executive on Wall Street came to me and told me that he was totally comfortable with his writing skills. He had an English undergraduate degree. He told me that he had been following my articles and blogs for quite a while and that he was convinced that I was sitting on some kind of “secret sauce” as he called it. He asked me if he could pay me for an hour of my time in exchange for me exposing him to my “secret sauce”. I agreed to do this and at the end of the 1 hour phone call, my client was completely satisfied and I was energized. This experience prompted me to turn this 1 hour phone call into what I now refer to as my 1 Hour Resume Coaching service. This one hour call is built around a sample resume from my portfolio or 20 or so sample resumes. I use the sample resume in order to teach my client how to build their resume following the same game-changing methodology that was used to build the sample resume. When I say game changing, I’m suggesting that my resume clients all around the globe have opened interview doors with their new resumes where in many cases, their old resume wasn’t leading them to desired result. When I’m working with a client who is teachable and coachable, in one hour, I have figured out how to transfer over 25 years of my experience combined with the research I did in 2008 to build my proprietary resume writing methodology to my client’s mind. This means that after 1 hour, my client can build their new resume based on the methodology that has been producing results around the globe since 2008. While this methodology of mine was originally built for technology professionals, I have recently coached people across a half dozen skill domains and they’ve all had success when applying my methodology to their resume. My methodology came together from information I obtained from an audience of people who commonly make decisions based on resumes. Then I mixed in my own experience and the result was a resume building approach that is based entirely on the audience of people who will receive one of my client’s resumes. A resume must be clean, clear and logically written based on the way resume reviewers logically look for information in order to process a decision. Finally, most resumes require a mix of business writing, technical writing and a little bit of strategically leveraged creative writing. Writing in this manner is a gift that not everybody possesses. It is for these reasons that I created my 1 Hour Resume Coaching service. There is nothing I enjoy more than when I get to help my clients win! This service represents one of the many ways in which I get to help my clients to win. If you are fortunate enough to get honest feedback on your resume, take it, run with it and apply it. This is no time to let your feelings get hurt. It may be good to know and bad to hear feedback but it is likely feedback you need. Ask someone who does not understand what you do to review your resume for 15 seconds. At the 15 second mark, take your resume away and ask the reviewer to tell you what they learned about you in 15 seconds. If the reviewer of your resume cannot tell you who you are, how to communicate with you, how you are educated, how you are certified or credentialed and what you do today, you didn’t build your resume in a way that makes it easy for the human eyeball to visually scan your resume. If your resume reviewer didn’t pick up a basic understanding of what you do in 10-15 seconds, it is likely that a recruiter or a hiring authority will have the same experience. Resume writing is a mix of business writing, technical writing and a little bit of creative writing mixed together. If you are a gifted engineer or a gifted number cruncher, chances are very high that you are not naturally gifted at packaging and marketing yourself in the most effective way. A great resume will speak to anyone and everyone in your resume’s audience without anyone in the audience having to interpret what they see. A great resume can be scanned by an Applicant Tracking System without throwing up roadblocks. A great resume can be visually scanned in 10-15 seconds. A great resume will not present long paragraphs. It will have white space separating thoughts and ideas. Great resumes communicate effectively. Short choppy bullets that do not adequately explain one's accomplishments, contributions and the value they have created in past jobs are ineffective. Great resumes don't have to be interpreted. They don't overuse acronyms and abbreviations that others do not understand. A great resume is written in a Clean, Clear and Logical manner that aligns with the order in which people in the resume's audience need to pick up information to get to know the resume owner. While your resume is always about you, it is always for someone else. A great resume is always written with the resume’s audience in mind. What Does Aligning One’s Resume, LinkedIn and Interview Message Mean? The other day, I created a simple message because I know that most people don’t like to read long blog articles. On one hand, my effort worked for those who would rather scan than read but on the other hand, someone commented because they didn’t know what I was talking about. Here you go. As a recruiter for 25+ years, I have had significant experience in listening to job candidate’s stories on the phone. Then they send their resume and their resume tells a different story than the one I heard on the phone. Next, I’ll look this person up on LinkedIn (as many employers do) and I’ll find yet another story. You get one chance to make a first impression. I suggest aligning the message you create on LinkedIn with the message you send in your resume. Ultimately, make sure both of those messages align with the way you’ll communicate when you have an opportunity to interview. My coaching clients who have put these three topics in alignment have had significant success all over the world. Communication that is delivered in a clean, clear and logical manner works for your resume, for LinkedIn and for your interviews. You Are Unique: What Does Your Personal Brand Say About You? If you’re a gifted technologist for example, odds are pretty good that you’re not gifted in sales and marketing. This is not to say that a technologist is never gifted in sales and marketing but this skill mix is an anomaly rather than the norm. When it comes to packaging and marketing yourself, if you can blend technical writing, business writing and a little bit of creative writing simultaneously, you’re in good shape. However, if you are not sure how to blend technical writing, business writing and creative writing, this activity is probably not your gift. You might want to seek help from someone who understands your giftedness and who also possesses the gift of writing, sales and marketing and has a results-filled track record. If you have a LinkedIn profile, you are making first impressions whether you’ve strategically thought about it or not. LinkedIn offers a tremendous opportunity for personal brand building. If you haven’t invested time to strategically build your personal brand on LinkedIn; consider doing so soon. Consider this when you think about personal branding and how to package and market yourself. 1. LinkedIn and Resume Audience: Always build your Resume and your LinkedIn profile for the benefit of other people who make up your audience. While your Resume and your LinkedIn profile are about you, they are not for you. It is always someone in your audience who will be forming a first impression when they review your Resume or your LinkedIn profile for the first time. 2. Align Your Communication: Be sure that the message on your Resume aligns with the message on your LinkedIn profile. Your audience may see your Resume first and then look you up on LinkedIn. Or, a recruiter who is searching for your skill set may find you on LinkedIn and then ask for your resume. These two modes of packaging and marketing your background should project the same message and a similar first impression. 3. Clean, Clear and Logical: Write your resume in a clean, clear logical manner that can be visually scanned in a matter of seconds. Because your resume is about you and not for you, it is important that your resume not require any interpretation from your audience. You can apply these same ideas to the building of your LinkedIn Profile. 4. Align Your LinkedIn Message, Resume and Interview Approach: Start with the end in mind. If your purpose in building a resume is to get to the next step in your career, think about what message you need to project in order to attract the next step in your career. What you plan to say in an interview should align with what you wrote on your Resume and the message you projected on LinkedIn. No matter who you are, you have the potential to deliver a great performance. Find out how you’re able to deliver your best performance and then build your personal brand around your unique giftedness. How Old Is Too Old To Look For A Job? At one of my recent speaking engagements, a woman came up to me and asked a question about searching or a job. Her question grabbed my attention and continues to stick with me. This question came to me from a woman whom I would guess to be in her 50s. I politely asked her what she thought the appropriate answer to the question was. She didn’t have an answer. I told her the correct answer was whatever she thought the correct answer was. I wasn’t trying to be funny. There is no age when someone should stop thinking they can be productive. It’s up to the individual. If you were to ask some of the guys I skate with who are in their 50s or 60s when someone should stop playing hockey, I suspect they would tell you when it’s time. In these guy’s minds, the time to stop skating would be when they can no longer skate and not a moment sooner. I’ve shared a testimonial recently from a 60+ year old career coaching client of mine. I share this kind of information to let others know that success can be achieved at any age. This 60+ year old client was having trouble getting interviews when he first approached me. After opening his mind to coaching, his resume changed, his LinkedIn presence changed and his job search results changed for the better. Don’t let anyone else tell you when you’re too old for something. Decide for yourself!